LBS Bina Group Bhd is beefing up its operation and is venturing into Perak to develop two housing projects worth a combined RM200 million, in support of the government’s national housing agenda. The government is targeting to build 50,000 affordable homes in the state within the next five years. 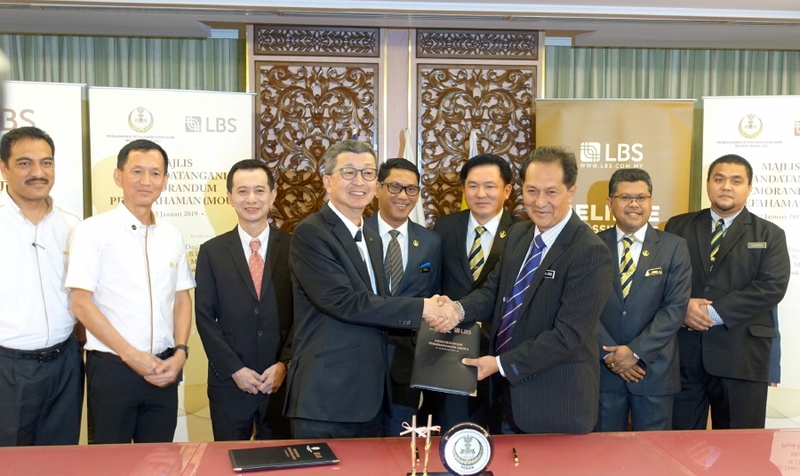 LBS’s subsidiary, Bimbingan Simfoni Sdn Bhd, has inked a memorandum of understanding (MoU) with Perak State Secretary Inc (SSI) to develop two parcels of land in Temoh and Chepor. Temoh is a small town near Batang Padang south of Perak. The town, which looks old and abandoned, is located mid way between Kampar and Tapah. It is slowly developing with the Temoh Lake recreation area up-and-running and new businesses setting up shop at the newly developed Dataran Amanjaya. Chepor, located in Mukim Hulu Kinta in Kinta, is a much bigger town and has a few small developers. Under the agreement, LBS will develop 20.2ha in Temoh and 15.6ha in Chepor into mixed used developments. LBS group managing director Tan Sri Lim Hock San said the two parcels of land will be developed with cluster terraced homes in the affordable price segment, as well as terraced and semi-detached homes. Construction works will start in the fourth quarter and will be completed in the next three to four years, he said at the recent signing ceremony, witnessed by PerakMenteri Besar Datuk Seri Ahmad Faizal Azumu. Lim said the collaboration between LBS and SSI stemmed from the shared passion to help realise the government’s commitment to delivering one million affordable homes over the next 10 years. LBS, which has over 25 years of experience in developing innovative projects, has delivered 35,000 quality properties that include affordable homes, high-rise apartments, integrated townships and commercial units. The group achieved RM1.53 billion sales last year, recording its fourth consecutive year of growth. Lim said the two projects in Perak will feature LBS’ signature qualities — quality homes promoting a balanced lifestyle. SSI chief executive officer Azizul Rahman Mohamad said the partnership with LBS is aligned to the state government’s mission to help more people from the low- to middle-income group to own a home.